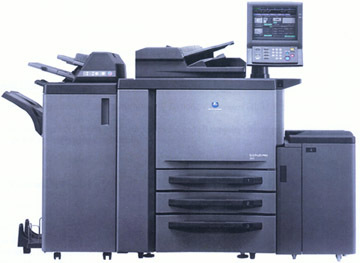 High Speed B/W Copies: We are equipped with the latest high-speed copying equipment. 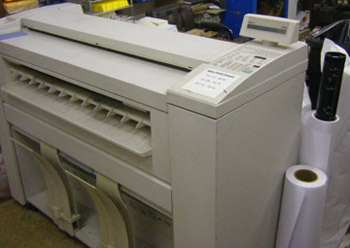 Our black and white machine can copy just under 100 pages per minute to complete your project as speedily as possible. 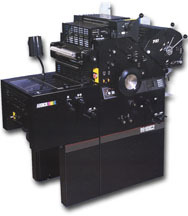 This machine also offers specialized finishing, three-hole punching, and folding on-the-fly. We can convert your multi-page black and white documents into a PDF file to be accessed via your computer. You can have your manuals scanned so you can view them on your laptop. Blue Print Services: We can scan, print, copy all standard sizes of blue prints (black and white or color). 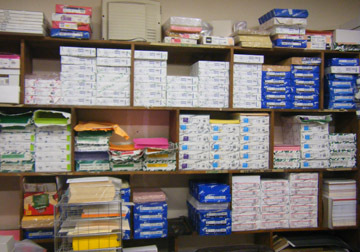 Offset Printing: We are equipped with tw0 2-color offset presses to produce your office needs (envelopes, pads, NCR, forms, flyers, sell sheets and postcards) maximum size 11"x17". 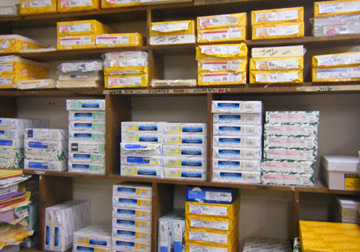 We carry a variety of colors in text or cover stocks in house. 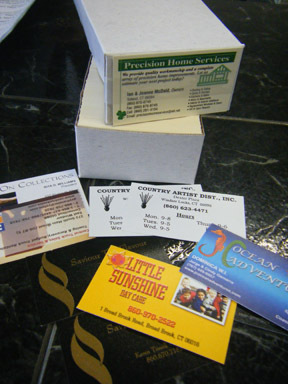 Business Cards: We can produce up to 2-color, raised letter business cards in house with our thermography unit. We can also produce full color business cards with our digital printer.